1990, Hubcaps used, 14", 65, BUICK, SPECIAL, CHROME OUTER RING, MACHINED, RIB TYPE WITHOUT SPINNER. FULL COLORED LOGO IN CENTER, METAL CLIPS. 1997, Hubcap used, 14", 66, BUICK, SPECIAL, RIB TYPE, WITHOUT SPINNER. 1999, Hubcap used, 15", 66, BUICK, RIVIERA, RIB TYPE, WITHOUT SPINNER. 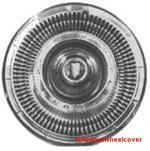 589, Hubcap used, 14", 66, PLYMOUTH, VALIANT, PASSENGER, RIB TYPE WITHOUT SPINNER. 971, Hubcap used, 15", 65, MERCURY, PASSENGER, POLISHED OUTER RING, CHROME & BLACK RIBS, [RIB TYPE] WITHOUT SPINNER, RAISED CENTER WITH , MERCURY HEAD LOGO. IN CENTER,METAL CLIPS.